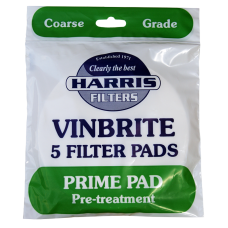 Coarse grade pre-treatment pads for the Vinbrite MK3 Filter. Pack Of 5. These should be.. 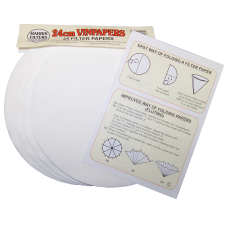 The Vinbrite MK3 kit includes a filter body, support disc, locking ring, funnel, spanner, transfer t..
Polishing pads for the Vinbrite MK3 Filter. Pack Of 5. 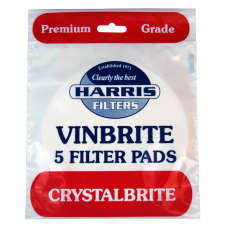 Crystalbrite are premium grad..
15cm Filter papers for use with Vinbrite Wine Filter Kit. Pack of 50. 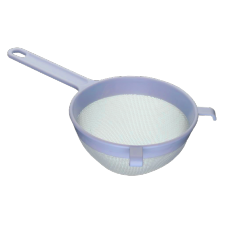 Can be used in medium funne.. 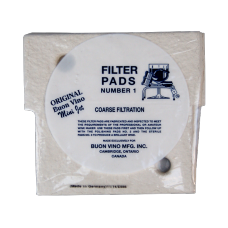 Pack of 3 Course Filter Pads for Buon Vino Mini Jet. Use these pads first then follow with the Polis.. 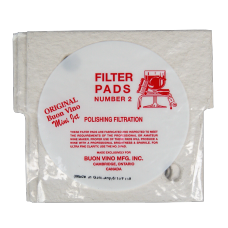 Pack of 3 Polishing Filtration Pads for Buon Vino Mini Jet. 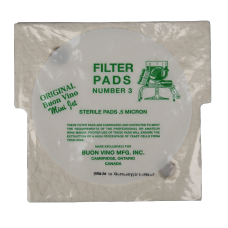 Follow with the Sterile Pads (Number 3) .. Pack of 3. 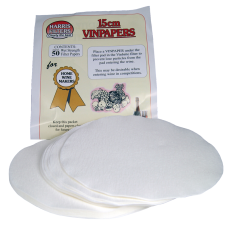 These pads are for use in the Buon Vino MiniJet filter and will produce a very clear, bri..
24cm filter papers which can be folded into a large funnel. The wine is then poured through and..